Brigadier General A. H. Bell, D.S.O. Do not allow any factors to induce you to take an action contrary to the dictates of your own judgment and conscience. In many long years of military life my experience has taught me that a soldier who does so spends the balance of his career in making a series of errors, each in the vain attempt to correct the one immediately preceding, and all resulting from his first violation of sound practice. Arthur Henry Bell was a professional soldier and veteran of the Boer War. Born on 16 September 1871 in King’s County, Ireland, Bell served with the Leinster Regiment, the Cape Mounted Police, the Matabele Relief Force, and the Imperial Yeomanry in South Africa. At the outbreak of the First World War, he was the commanding officer of Lord Strathcona’s Horse in Calgary. 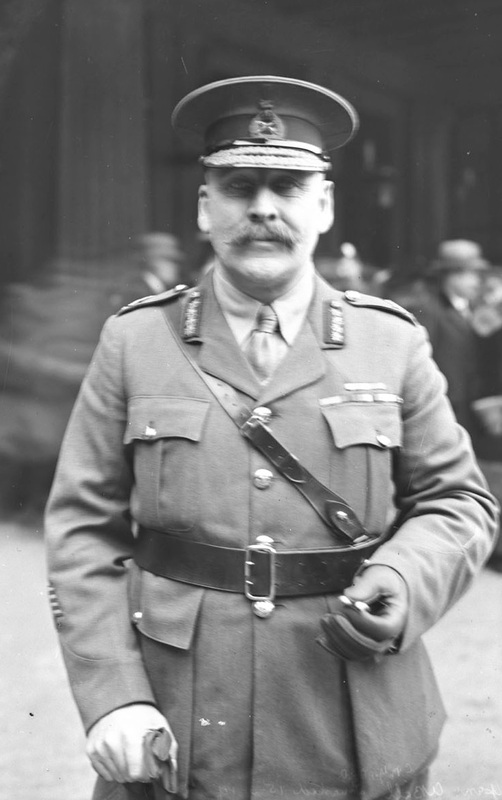 On 23 April 1918, Bell was promoted to brigadier general to take charge of the 6th Brigade. Command of the 31st passed to Major Edward Spencer Doughty. Bell remained in command of the brigade until he was invalided by a gunshot wound to the chest at the battle of Cambrai in October 1918. By the end of the war, Bell received the Distinguished Service Order, the Croix de Guerre and was mentioned six times in the dispatches. When he returned to Canada in late 1919, Bell took command of the No. 13 Military District and investigated the reorganization of the postwar Canadian militia.